Classic and steely, white flowers dominate here with intense fruit coming to the fore, especially to the back of the palate. There is a very good balancing acidity that leads to an exquisite finish. This is quite simply magical. Jasper Morris MW, Berrys' Burgundy Director The wines under this label are made by Dominique Lafon in Meursault, in separate premises from Domaine des Comtes Lafon. Though this label has négociant status, all of the wines still come from vineyards owned or farmed by Dominique. The Bourgogne Blanc is a significant acquisition this year, being part of the former Domaine René Manuel and on the whole, this is a lovely range of wines. The Wine Advocate - Tasted blind at the Burgundy 2011 horizontal tasting in Beaune. 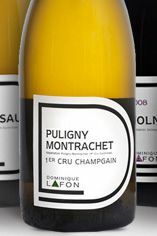 The Puligny-Montrachet Champ Gain 1er Cru 2011 from Dominique Lafon has a well-defined but rather uncomplicated nose with scents of grapefruit, persimmon and a hint of beeswax. The oak is a little obvious, but it is in sync with the fruit. 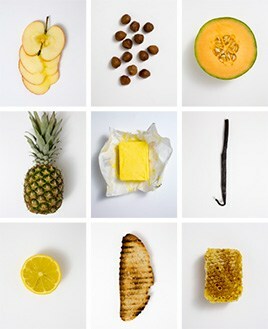 The palate is simple on the entry with tangy orange zest notes and peach skin. There is good weight here, but it just seems a little over-worked and consequently loses some finesse. The acidity seems not locked-in to the fruit, but that may come with time. 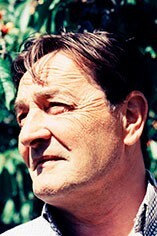 From 2008 Dominique Lafon decided to make a few wines under his own label, separate from the family domaine (Domaine des Comtes Lafon). Though this new company has the official status of a negociant, almost all the wines are in fact domaine bottlings from vineyards which Dominique either owns or has the contract to farm. The wines are now vinified, matured and bottled at the Chateau de Bligny, where Dominique and colleagues also operate a custom crush facility for small-scale winemakers who do not have their own winery. The whites begin with Bourgogne Blanc (from 2010), village Meursault from La Petite Montagne which formerly went into the Domaine des Comtes Lafon Meursault blend, a single vineyard Meursault les Narvaux (from 2010) and a small premier cru holding of Puligny-Montrachet, Champgain. Some 2008 Viré-Clessé has been replaced from 2009 by a cuvée of St-Véran. The reds are a village Volnay and premier cru Les Lurets. The reds are a village Volnay and premiers crus Volnay, Les Lurets and Beaune Les Epenottes. The Dominique Lafon label is exclusive to Berry Bros. & Rudd in the UK, Hong Kong and Japan.